The campaign video, shared by Trump’s official Twitter account, has now been replaced with a message that reads: “This media has been disabled in response to a report by the copyright owner"
A photo from "The Dark Knight Rises." President Donald Trump’s latest 2020 campaign video has been removed from his Twitter page after Warner Bros. announced it would take legal action over the unauthorized use of music in the clip. 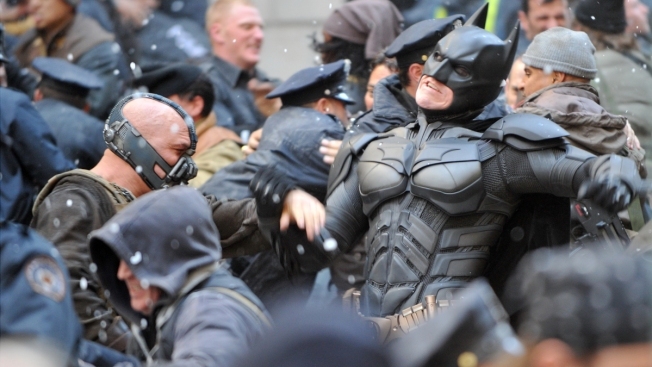 “The use of Warner Bros.′ score from ‘The Dark Knight Rises’ in the campaign video was unauthorized. We are working through the appropriate legal channels to have it removed,” a spokesperson from Warner Bros. told CNBC via email Wednesday. The video, shared by Trump’s official Twitter account, has now been replaced with a message that reads: “This media has been disabled in response to a report by the copyright owner." Hans Zimmer’s “Why Do We Fall?” from the 2012 movie was featured in the video, which also mimicked the font used for the movie’s title cards, according to media reports. “First they ignore you. Then they laugh at you. Then they call you a racist. Donald J. Trump. Your vote. Proved them all wrong. Trump: The Great Victory. 2020,” messages written in the font said. The video had been viewed more than 2.3 million times by the time it was removed, according to NBC News. CNBC reached out to The White House on Wednesday but a comment wasn’t immediately available.